With the development in watch making, timepieces have evolved into mini gadgets on your wrist that perform various functions. 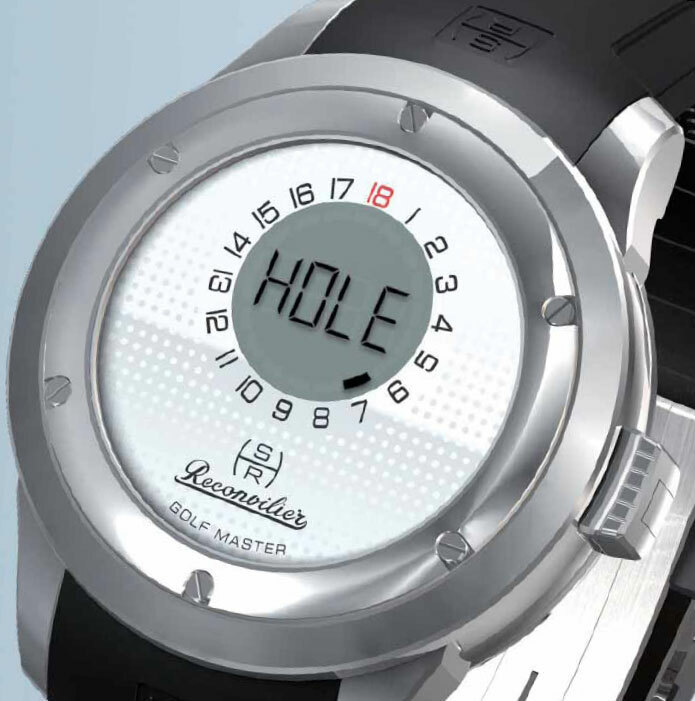 With the release of the Reconvilier Hercules Golf Master Watch, the golfing community too is all set to benefit from the union of watch making and technology. 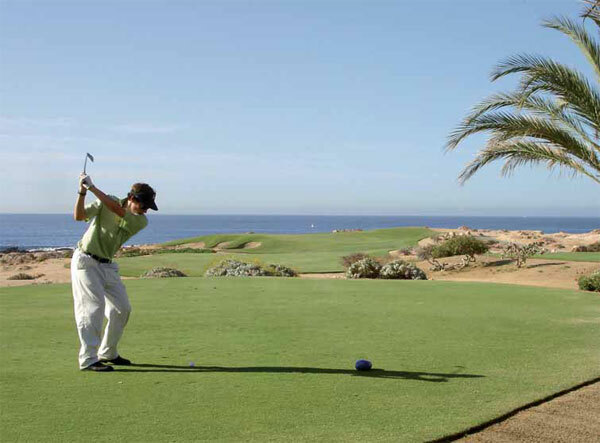 Combining a mechanical movement with a GPS application, the Golf Master enables golfers for the very first time to measure the distance to the green, front edge or centre! This original function is displayed on the front of the watch in metres or yards, while the reversible ‘Rotar’ mechanism provides a classic analogue reading of the time on the other side. 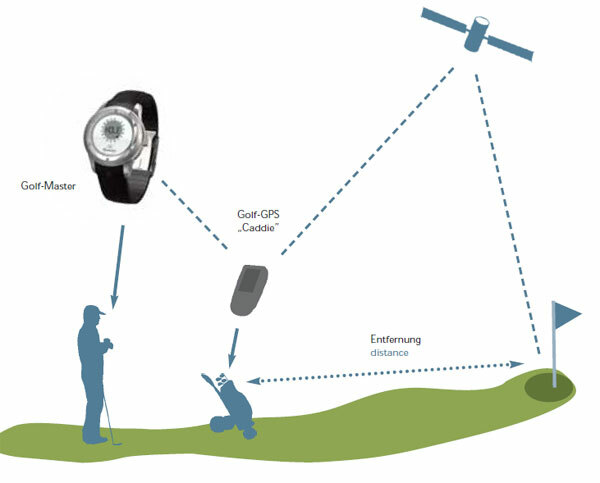 The watch uses a base station ‘Caddie’ kept on your bag to obtain golf course data before the start of the game. 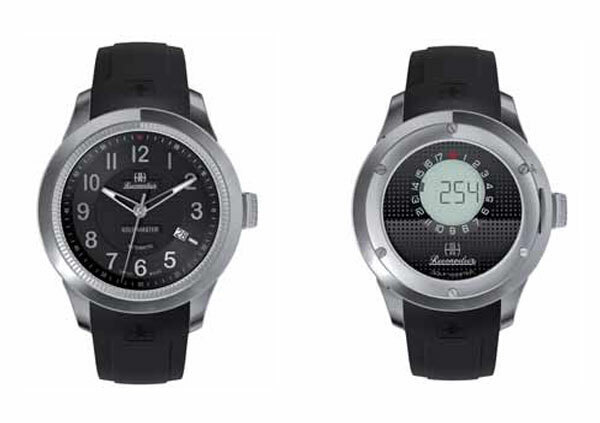 On course, the data is relayed automatically from the Caddie to the watch. When ‘tee’ time is over, you can use the Rotax mechanism to remove the face of the watch and flip it 180° to reveal the classic round analogue design. 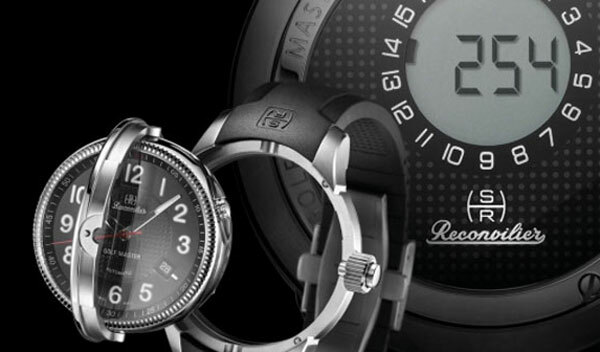 Powered by an automatic ETA 2892A movement (COSC-certified chronometer, Integrated digital module for LCD display), this watch measures 45mm and is water resistant up to 50m. 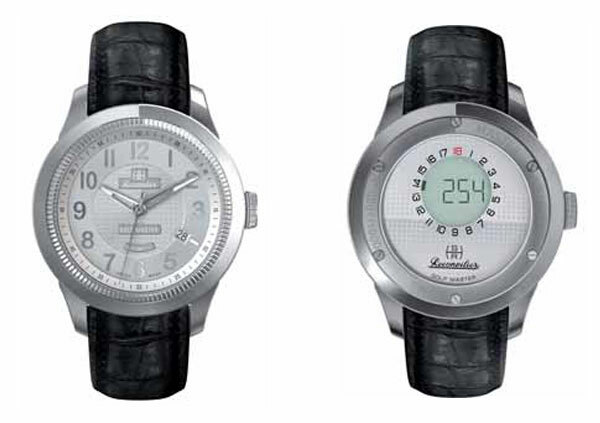 The case is available in either steel or titanium while the dial is available in white, black or grey. The strap is black or white rubber with steel or titanium folding clasp.